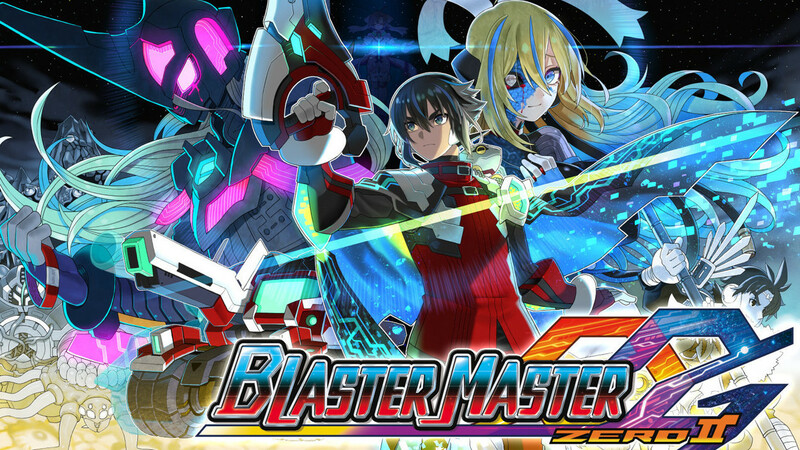 While I went into Blaster Master Zero unfamiliar with the source material, I went into Blaster Master Zero 2 a fan. To be fair, I was already a fan of other Inti Creates games, but now I stand firmly in the fanboy camp for this reimagining (remake doesn’t do it justice) of a classic series. I’m also glad that I managed to finally get the True Ending in BMZ, since the plot of the sequel strongly follows that chain of events. Without going too deeply into spoiler territory, after the events of the first game, Eve has found herself infected by the mutant they finally defeated. As such, Jason has set off with her to find a cure, recalibrating the Sophia into the Gaia-Sophia and making it space-worthy in the process. Your goal is to find a way to Eve’s home planet and hold her infection at bay along the way. The real question though, is whether Blaster Master Zero 2 blasted the first into space dust, or whether it was pale reflection of the first game. As you land on the first planet in the game, one important new mechanic is introduced. First and most importantly, when Jason retrofitted the Sophia to make it able to navigate and withstand the rigors of space travel, he also gave it a new way to replenish SP. In the first game, SP would gradually recover over time, or you could speed the process up by finding recovery items. In Blaster Master Zero 2, there’s a much more interesting and far more dynamic way to replenish SP. Essentially, your tank is capable of transmuting kinetic energy into SP, which is a fancy way of saying crashing into things recovers your energy. There are two primary ways this occurs. The safest way is to find a tall vertical drop, and leap down onto a flat surface. Depending on the height, you’ll either recover a little bit or a ton of your SP, but either way you won’t take damage. The other significantly more dangerous way to recover SP is by taking damage from foes. Here’s the catch. If your SP is reduced to zero, you’ll temporarily be unable to use any of your powerful weapons, techniques or sub weapons until the SP meter fills back up. Until then, you’ll just be able to fire small blasts that do minimal damage. So it’s in your best interest to conserve SP. At first I wasn’t a fan of this new mechanic, but it grew on me the more I played. I liked the risk/reward element of it, and found it made gameplay more aggressive. Another new mechanic I rather appreciated was the space travel. While the first game was a linear exploration of a series of subterranean lairs, this game is set in the void of space. As a result, levels are split into a scattering of planetoids and alien ships. Better yet, as you explore stages, you’ll uncover maps that unlock more planetoids, giving more places to explore and items to find. It’s a very fun loop, and while technically it’s still linear, it feels anything but. As you explore the alphabetically designated sectors, you’ll also have to find ways to unlock wormholes to others. Sometimes you’ll find a planet that’s just a short jaunt, while others are devious trap planets and some even house bosses. (The bosses in this game are particularly tremendous and challenging.) In other words, there’s a ton of stuff to do in the game, and it’s mostly up to you how you explore. I found this a refreshing change from the first game, even though I didn’t mind the linearity there. I also need to cover a mechanic that’s only for the top down sections: the counter. When you see a targeting reticule appear on any enemy, you can quickly respond and initiate a powerful counter attack. The initial one hits from a distance, but there’s others, such as one that only hits foes right near you. While I found the counter mechanic interesting, and it definitely helped make some fights more manageable, I have a complaint. Namely, the game never explains how to use it as you progress. Instead, you have to read an illustrated diagram in the pause menu. While that’s all good and well, I would have preferred the game just giving me a little nudge in the right direction. Even after I figured out how to counter, I wasn’t 100% sure I was doing it right. This mostly came from the fact that some foes can only counter one attack at a time, while others let you do a flurry of counters in response to attacks. The only advice I’d give you is pay attention to each and every foe’s pattern, because that’s the only way to learn. As for how the rest of the game controls, it’s both very similar and very different from Blaster Master Zero. Your tank still has basic attacks, sub weapons and techniques that let you navigate better. It’s just a different assortment of them. Gone is the ability to cling to walls or dive in aquatic realms (thank goodness). In place of those, you get some quirky new techniques, such as a wall jump (Yes it sounds weird, and yet it works.) and new sub weapons such as a drill or a reflector that bounces things upwards. Jason’s rifle options are also new, and they feel a bit more tactical than before. Now you have a shot that goes through obstacles, a homing shot, another setting that lets you absorb bullets and more. Most noteworthy is the full-powered option, which was a completely overpowered attack in the first game, but is a more balanced wide shot this time around. As a result, I ended up mostly using the base shot and the Stinger, since shooting through walls is always helpful.